The twins both got colds this week...just in time for this review! Noses are running, boogers are everywhere, and the twins are crying constantly (although that may be attributed to the fact that our au pair left this week to go back home...) As soon as those noses started running, though, I pulled out the Boogie Wipes. Boogie Wipes are like wet tissues (similar to WetOnes except with no alcohol). They are made with saline to dissolve boogers (mucus) caused by the common cold, allergies or any other booger-filled kid moments. They are extra soft and alcohol-, phthalate- and paraben-free. Boogie Wipes are available in Great Grape, Fresh Scent, Magic Menthol and Simply Unscented. They're also recommended by pediatricians as a gentle, effective alternative to dry tissues. My kids hate tissues. I mean really deep down loathing. They run when they see you coming at them with a tissue or anything else to wipe their noses (Boogie Wipes included). The difference, however, is the way they feel after you're done wiping their noses. After tissues or a towel, their noses are red and they're still crying. After Boogie Wipes there are no tears, no boogers and no redness. Woo! I love how they're made with saline, so I don't have to worry about using them on the face near the mouth, and they really do the job of cleaning away all of the mucus. They are very sturdy, so they won't fall apart the way tissues do, and you can prevent getting boogers all over your hands. Boogie Wipes are made with saline and are alcohol-, phthalate- and paraben-free, so there's no need to worry about safety using them on your child's face. They are super soft and very durable, so your kids won't have sore noses after wiping them. 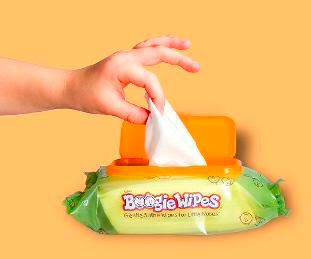 Boogie Wipes are available in four different scents (including unscented). They are pediatrician recommended as a gentle, effective alternative to dry tissues. You can buy Boogie Wipes online or at many local retailers. Boogie Wipes are much more expensive than regular tissues, but it's worth it if you're using them for long-term runny noses (ie colds, allergies) which are prone to soreness. Overall: We give Boogie Wipes a 9.5/10! Visit the Boogie Wipes website, comment here and tell me which scent is your favorite. 2) Join the Boogie Bunch. 3) Follow @boogiemom on Twitter and comment here with your Twitter screenname. 4) Follow @TheTwinners on Twitter and comment here with your Twitter screenname. 5) Tweet the following message once per day and comment here each time with the permalink to your tweet for 1 additional entry per tweet. 6) Become a fan of Boogie Wipes on Facebook. 7) Become a fan of The Twinners Reviews & Giveaways on Facebook. 8) Follow this blog on Networked Blogs. 9) Follow my personal blog, Elana's Musings. 16) Vote for this blog by clicking each of the following icons for 1 additional entry per click (a total of 5 additional entries), and you can do this once per day and make sure to comment on all giveaways you're in! 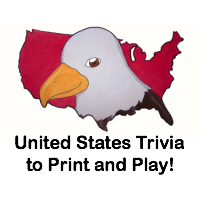 Make sure to comment 5 times every day that you click to let me know you clicked for each one. This giveaway will close on August 24, 2010 at midnight. We were sent one 30-Count Pack and six Individually Wrapped Boogie Wipes free of charge for the sole purpose of this review; no other compensation was received. All opinions expressed are my own. I'd want to try the menthol wipes. I follow your personal blog. I would need the Simply Unscented, due to my sensitivities to scent. These would be great for my allergies! I would have to go with unscented. Everyone here has bad allergies and I'm afraid if I got scented then that would only make it worse when you are already stuck with a runny nose. I follow you in GFC! I follow your other blog, Elana's Musings! I joined the boogie bunch and got my $1 off coupon! I'm a fan of Boogie Wipes on facebook and commented that you sent me to them! I'm following you on networked blogs! Definitely the fresh scent. Smells very good! I have always wanted to try the grape ones but you;re right, they're too expensive, which is why I've been trying to win them forever. I like to stay away from fragranced items so I like the simply unscented! I like the Fresh scent! I joined the Boogie Bunch. I'm a facebook fan of Boogie Wipes under username Jennie Tilson. I'm a facebook fan of The Twinners Reviews & Giveaways under username Jennie Tilson. I subscribe to Elana's Musings via Google Reader. I entered the Barefoot Books giveaway. I would choose the unscented as scents tend to bother my family. We love the grape scented ones at our house! I would choose the fresh scent! We like the Great Grape scent the best.